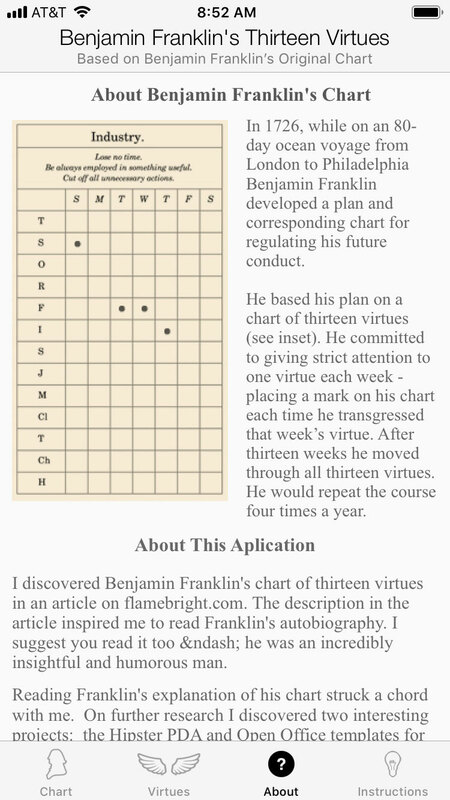 Benjamin Franklin developed a plan and corresponding chart for regulating his future conduct. 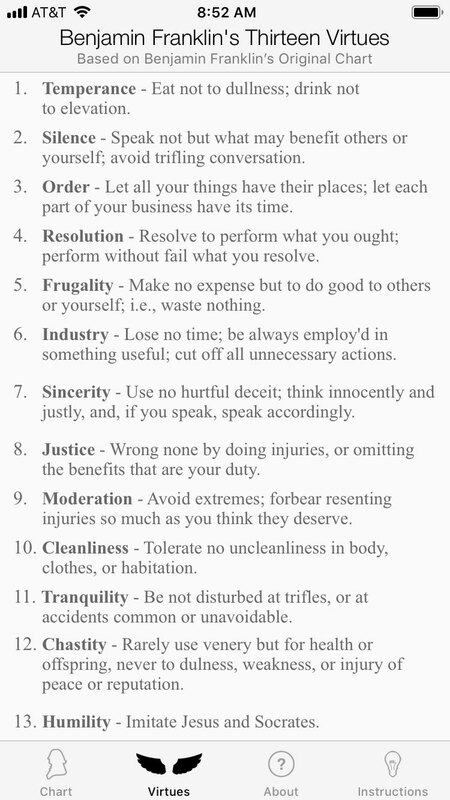 He based his plan on a chart of thirteen virtues. He committed to giving strict attention to one virtue each week – placing a mark on his chart each time he transgressed that week’s virtue. After thirteen weeks he moved through all thirteen virtues. He would repeat the course four times a year. 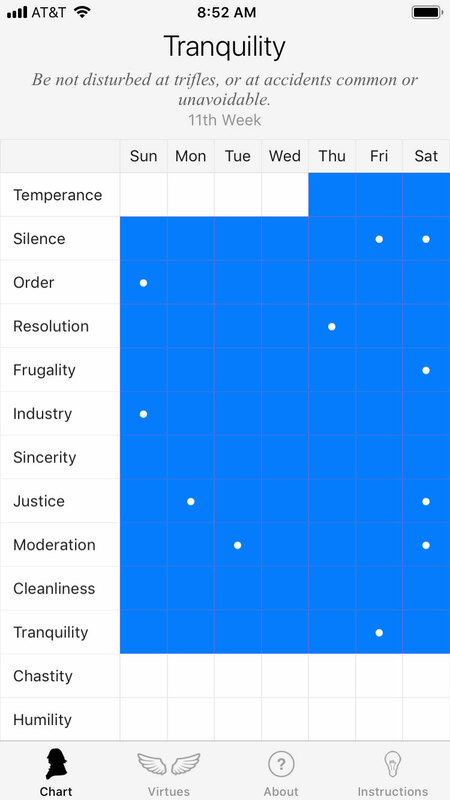 Use this modern incarnation of Benjamin Franklin’s original chart to improve and regulate your daily conduct. Every evening review your day. Tap the day's date to place a mark if you transgressed the week's virtue. 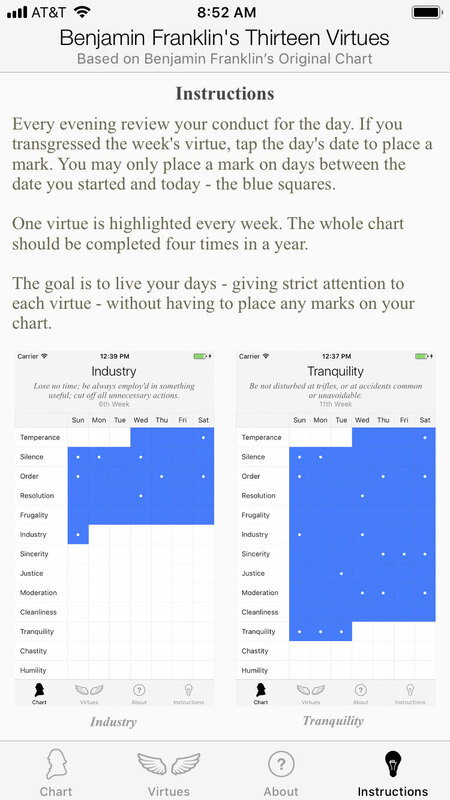 One virtue is highlighted every week and the whole chart should be completed four times in a year. The goal is to live your days – giving strict attention to each virtue – without having to place any marks on your chart. 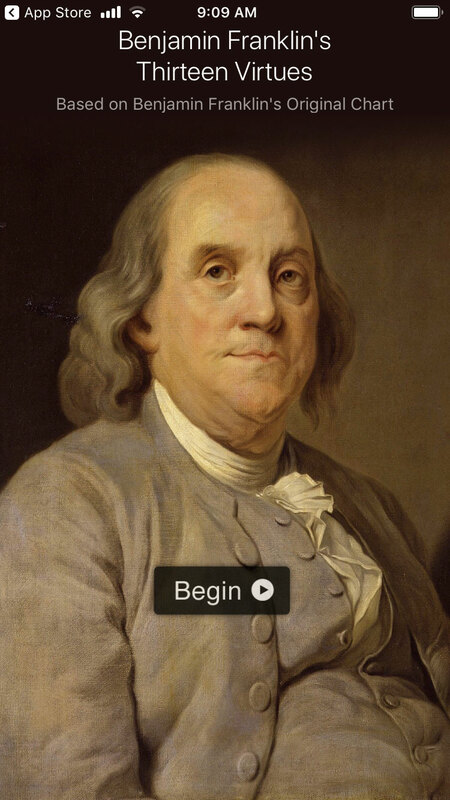 Available for iPhone, iPad, and Apple Watch. Available for free on the iPhone App Store.